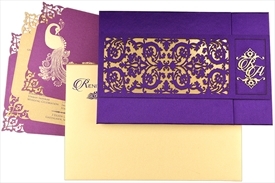 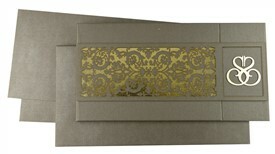 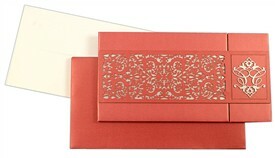 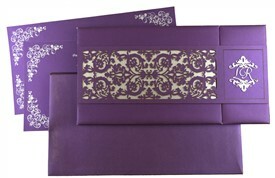 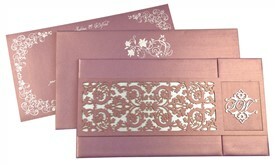 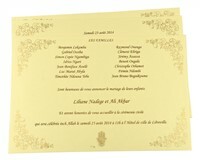 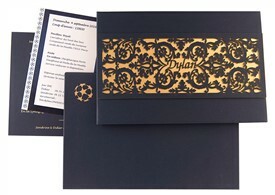 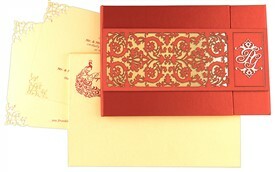 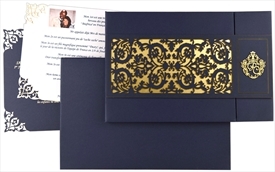 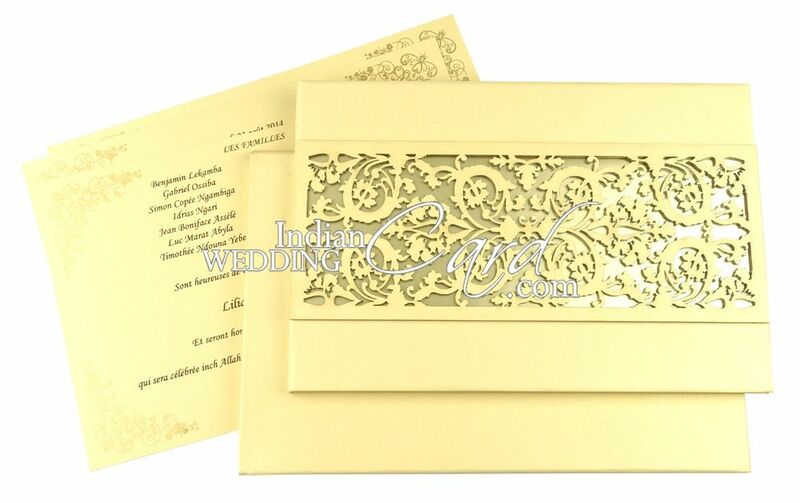 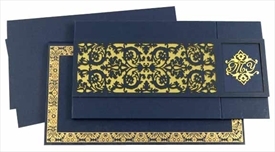 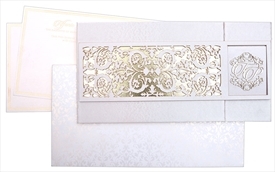 D-6695, Brown Color, Shimmery Finish Paper, Laser Cut Cards, Designer Multifaith Invitations. 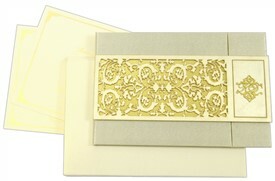 Beige color shimmer paper for hardbound thick card, inside lining, 2 inserts, pocket and mailing envelope. 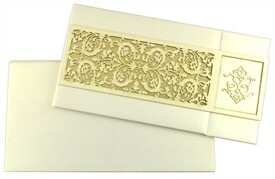 Large Plexi glass in laser cut on front of card with golden paper underneath it.